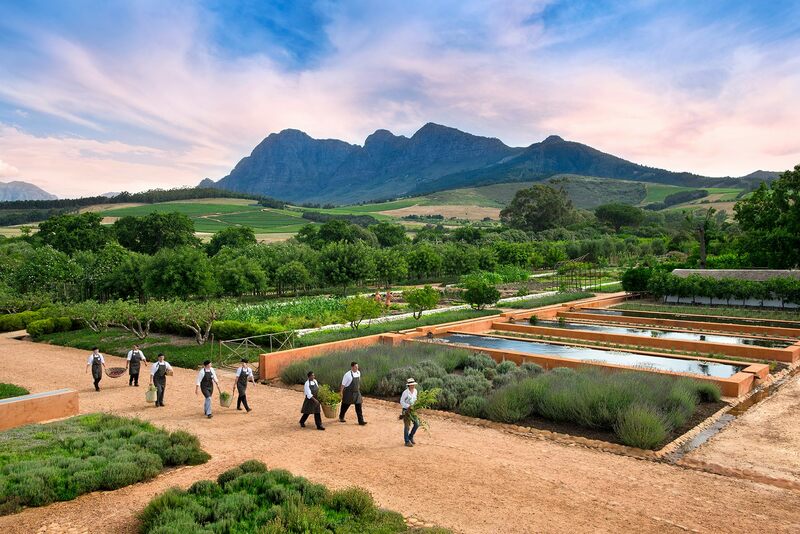 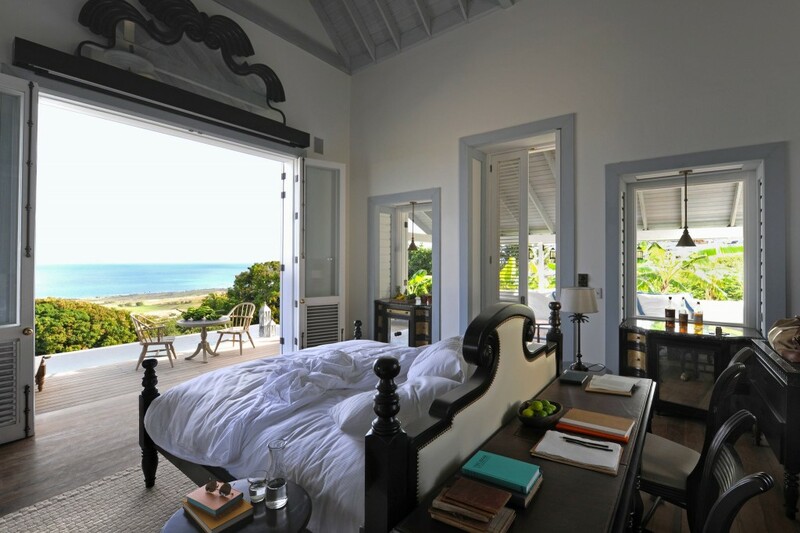 …..which combines the majesty of the great outdoors with the comforts of luxury travel. 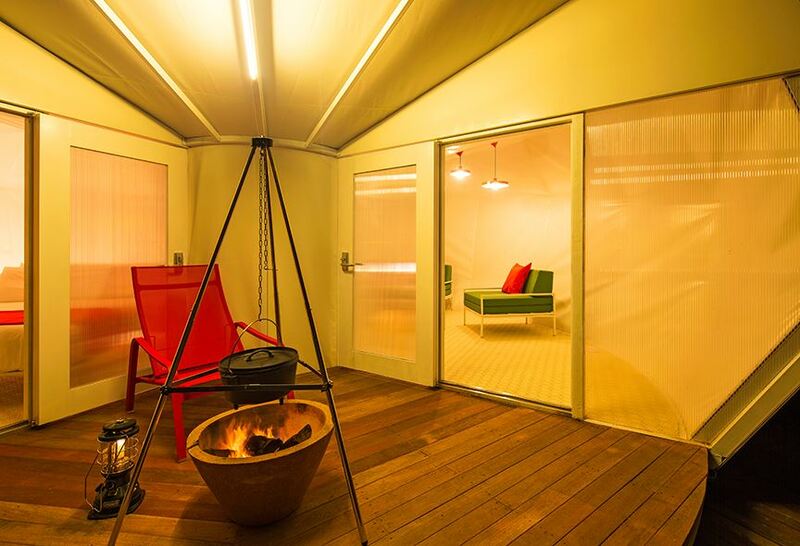 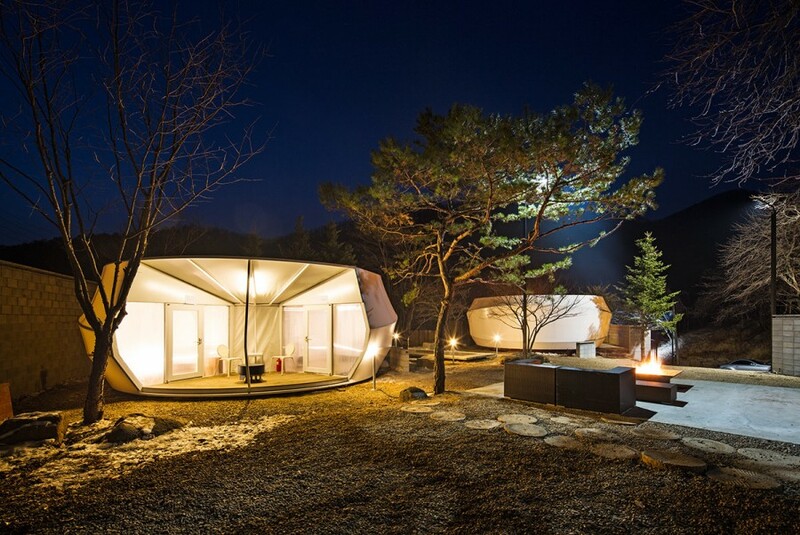 A South Korean company called Archiworkshop recently launched a tent series, appropriately titled “Glamping for Glampers”…..
…..that has a sleek eco-friendly (but still lavish) design that appeals to this modified approach to the world of camping. 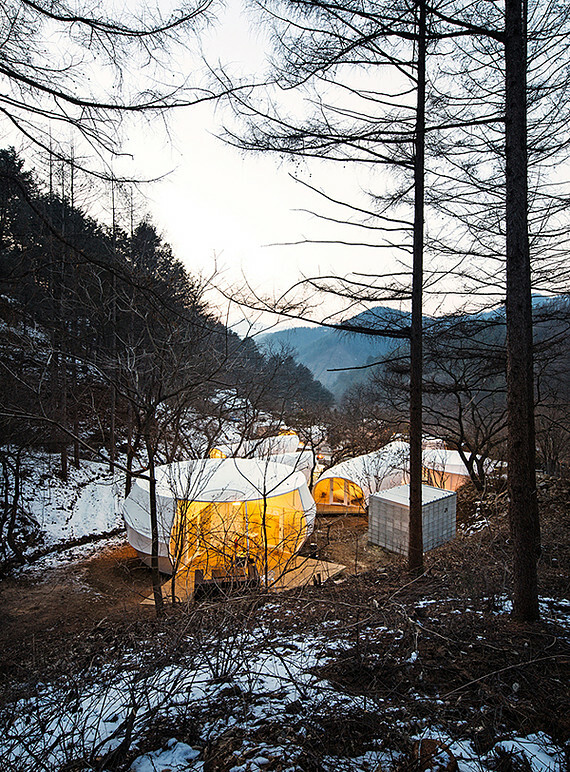 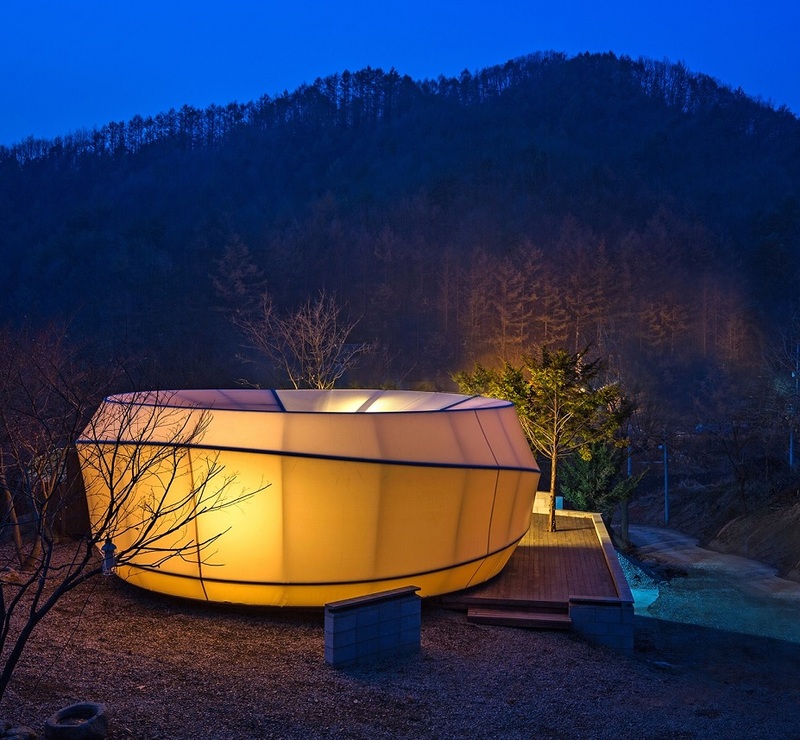 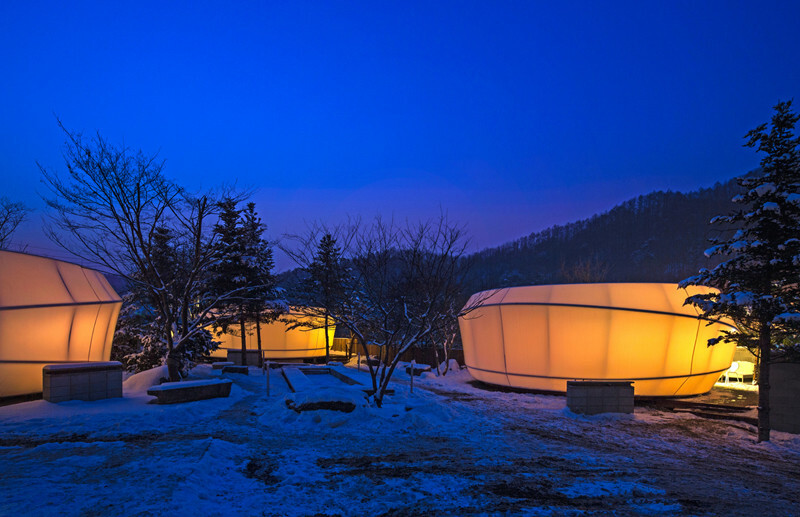 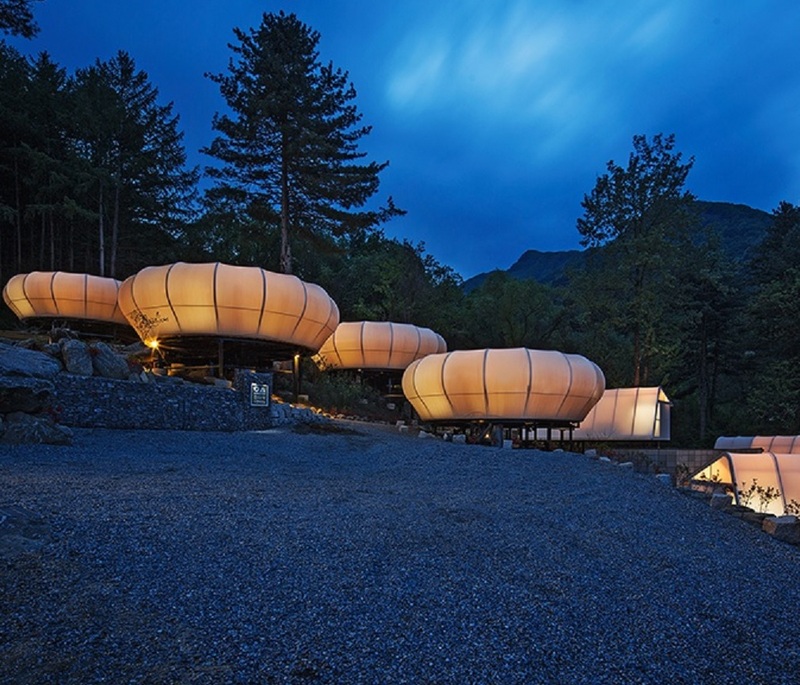 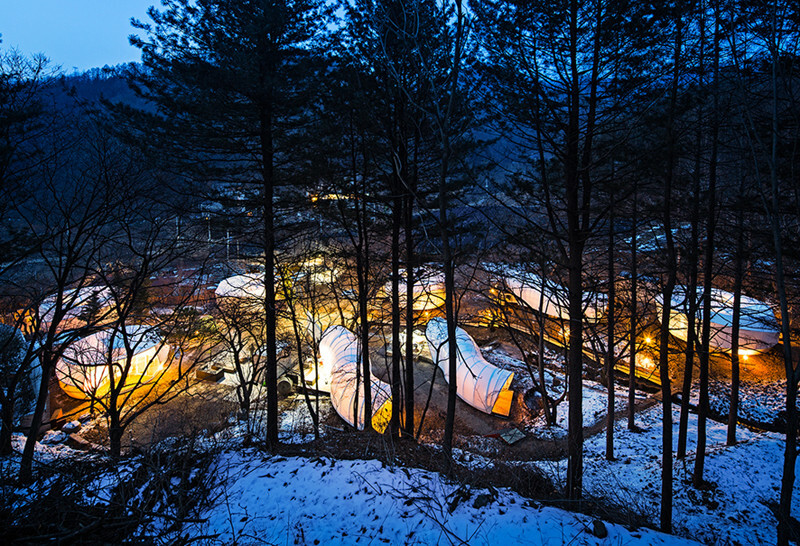 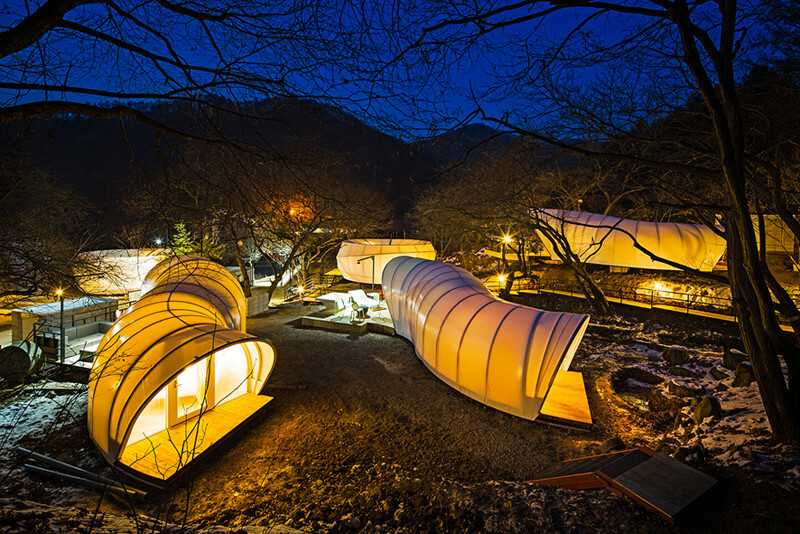 Erected on a camp-site in remote Yang-Pyeong, Korea, the Archiworkshop prototypes are waterproof, fire-resistant, and UV-proof, allowing one to experience nature without worrying about hazards. 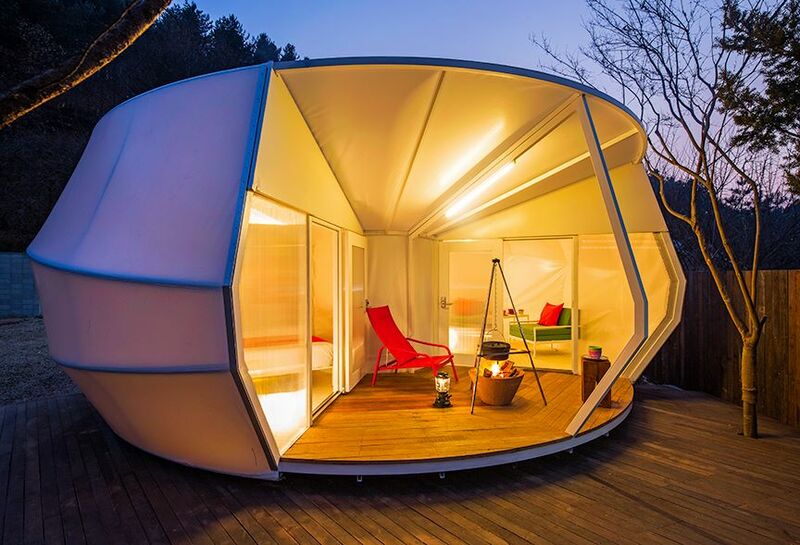 They come in two shapes–a long, curved tent suitable for rough terrain; and a cozy, hollow, circular shape that comes complete with a tiny patio set-up. 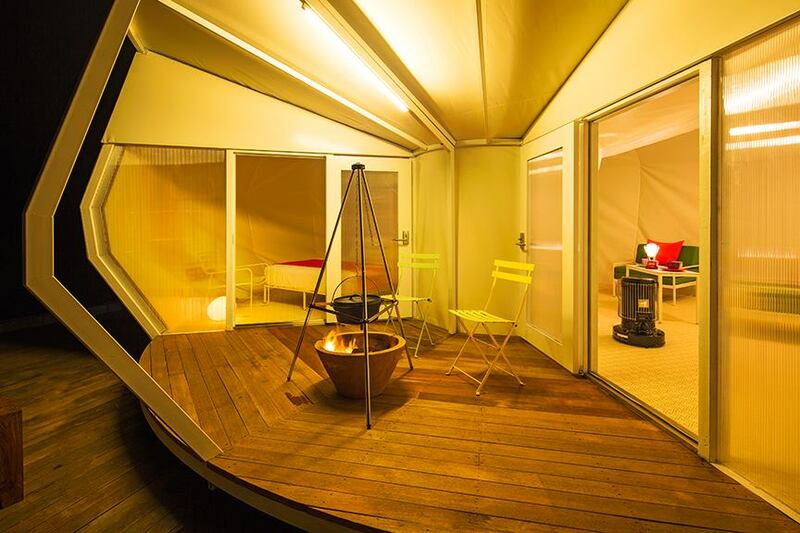 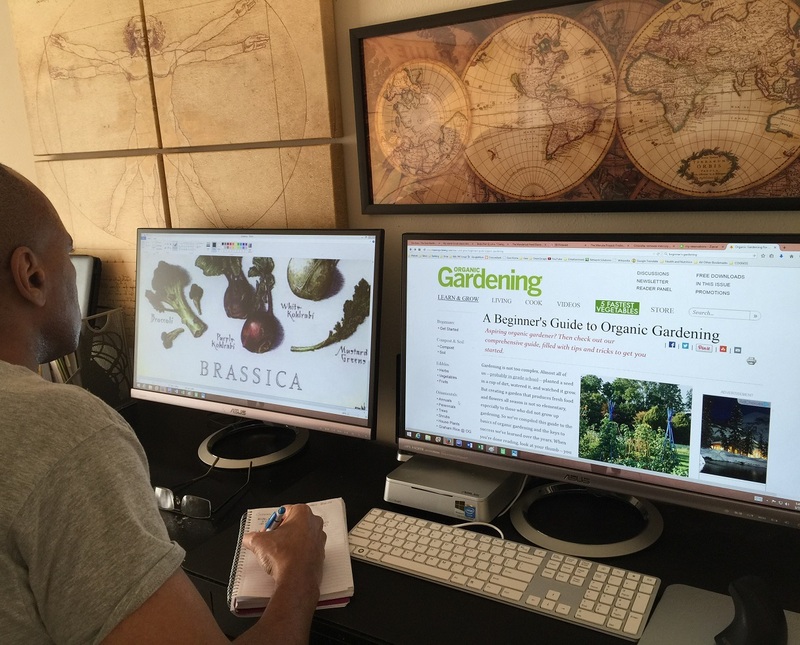 The furniture within the tents is custom made…..
…. 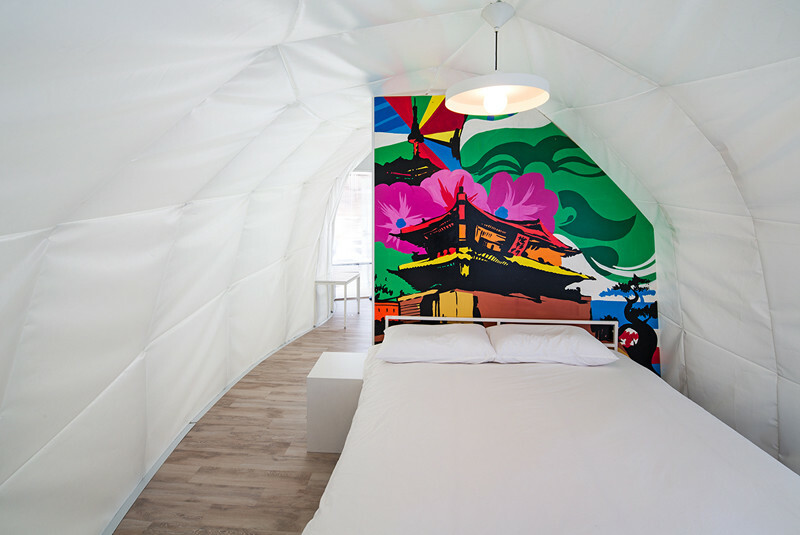 featuring a modern white interior balanced with wall murals painted by local artists. 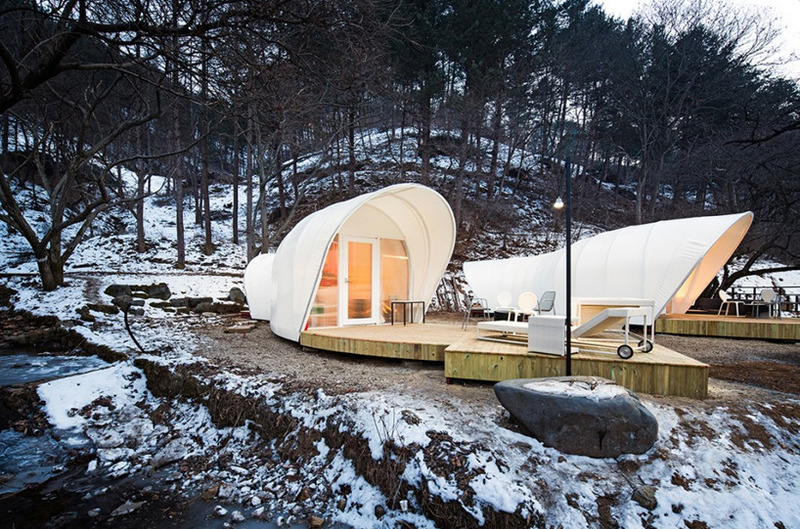 These high-tech tents let you experience the great outdoors without sacrificing any of the comforts of home.